Brake disks There are 4 products. 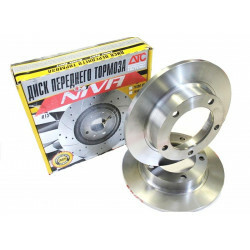 In this section you can buy the brake disks for Lada Niva 1700. Virtually all of the tuning of the VAZ is to increase the engine power. Increasing the engine power, the car starts to gain speed faster, the maximum speed increases. Do not forget about the effective reduction in the speed of the car, i.e., about the braking system. Brakes on the design are disc-type drum. The effectiveness of disc brakes is much higher. 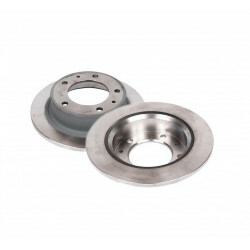 The VAZ brake discs also have a different design, the separation follows a diameter and additional modifications. 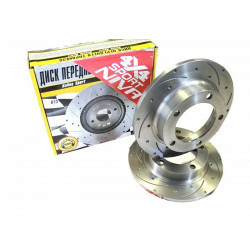 Brake disks are: not ventilated, ventilated, with additional vent lines, and with perforations for better cooling of the disc. The disks are paired with the brake pads. When you press the brake pedal, the pads on the vase clamp the disc. On cars VAZ, the vacuum amplifier helps to achieve greater efficiency of braking. Our company is a major distributor of VAZ brake discs from Alnas, the world's largest manufacturer. This company is the largest manufacturer of cast iron products and uses the most advanced technologies and the best equipment for processing on high-precision lines EMAG and HESSAPP (Germany). The company produces the highest quality products in the volume of up to 1,000,000 units per year. 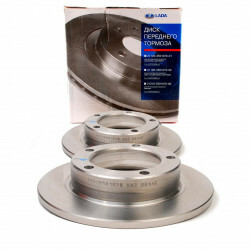 Alnas brake discs are supplied to the plants "VAZ", "GAZ", "UAZ", "ZAZ", "FORD", "Daewoo" for production cars since 2003. The technology of manufacturing brake discs Alnas is constantly improving, making the choice of buyers more and more obvious.